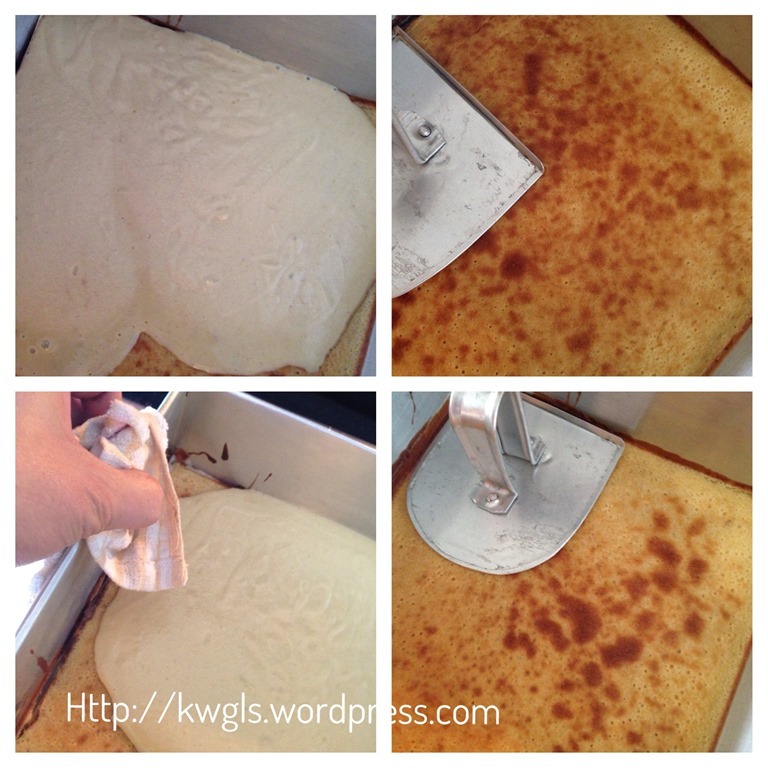 When readers are reading this recipe, they will think that the cake will be very sweet. Today, I have decided to try a version which is less sugar, less butter and less eggs. My verdict is I still prefer the original recipe or recipe 1. But for those who are health conscious, you can always try recipe 2 (highlighted in red) and the cake is slightly drier, less dense and definitely not sweet. 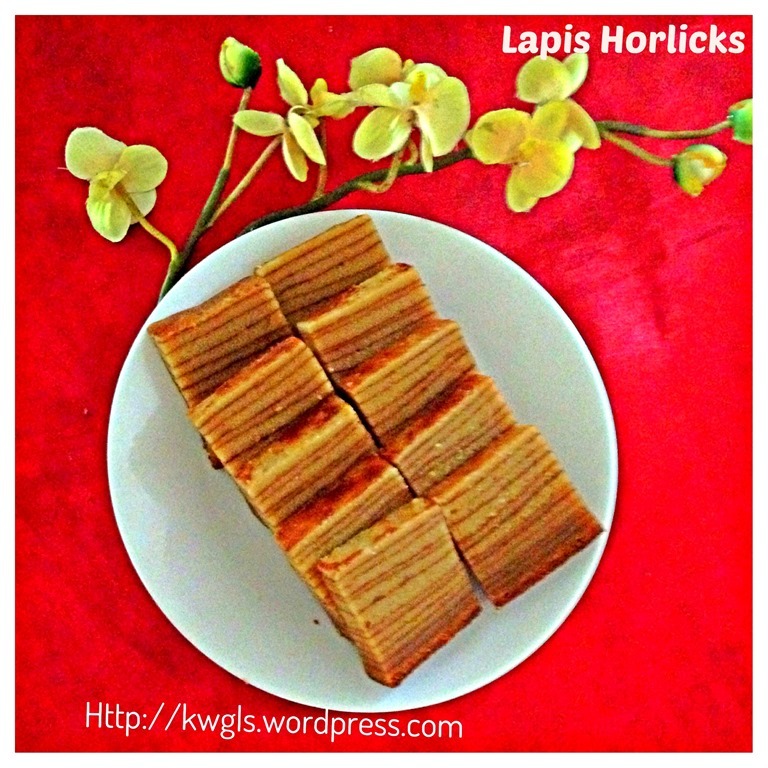 I came from Sarawak and Sarawak is famous for its layered cake or kek lapis. 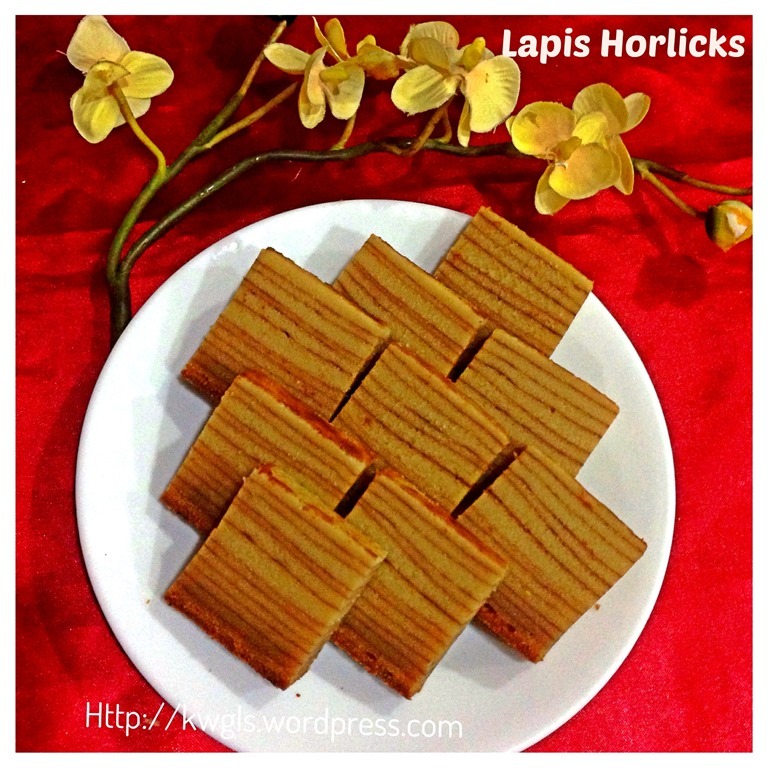 A Google about Sarawak Kek Lapis will give you all sorts of impressive kek lapis in terms of designs and colour. 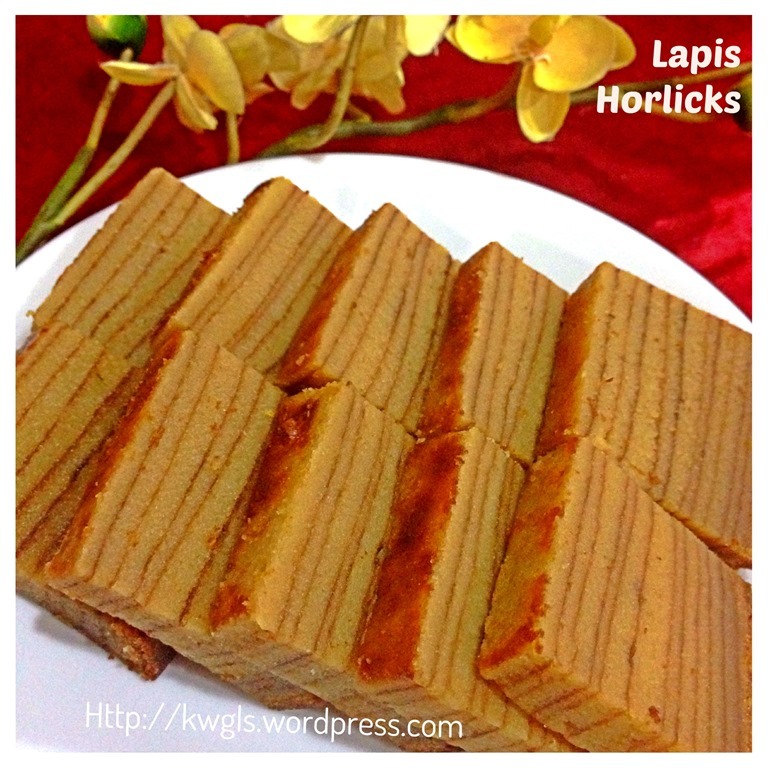 Kek Lapis is rather new in Sarawak and introduced by the Indonesians in late 1980’s. 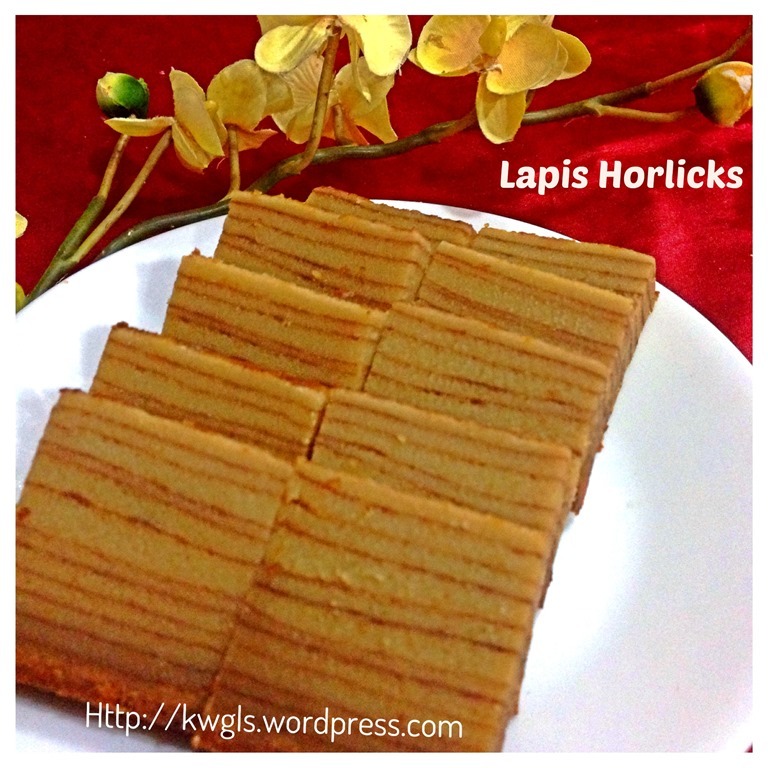 However, within these 30 over years, the kek lapis industry in Sarawak has transformed significantly. 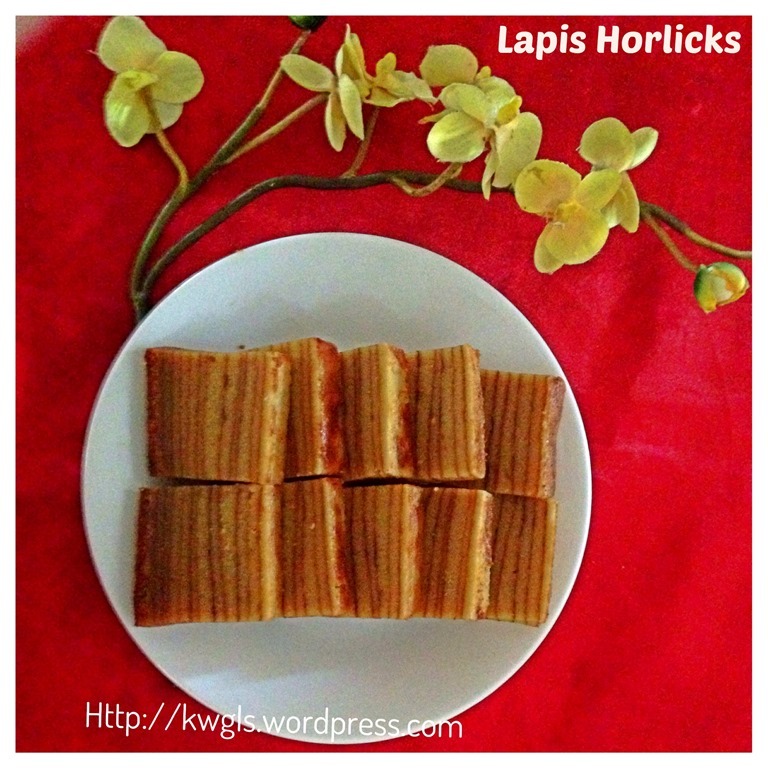 Besides the appearance, home made kek lapis have a lot of other flavours. Other than the lapis legit (original layered cake) and the common one like prune and cheese kek lapis, there are very innovative flavours like chocolate peppermint, almond milk, strawberry, fresh yam flavoured, cheese flavoured, hawthorn candy layered cake etc. etc. 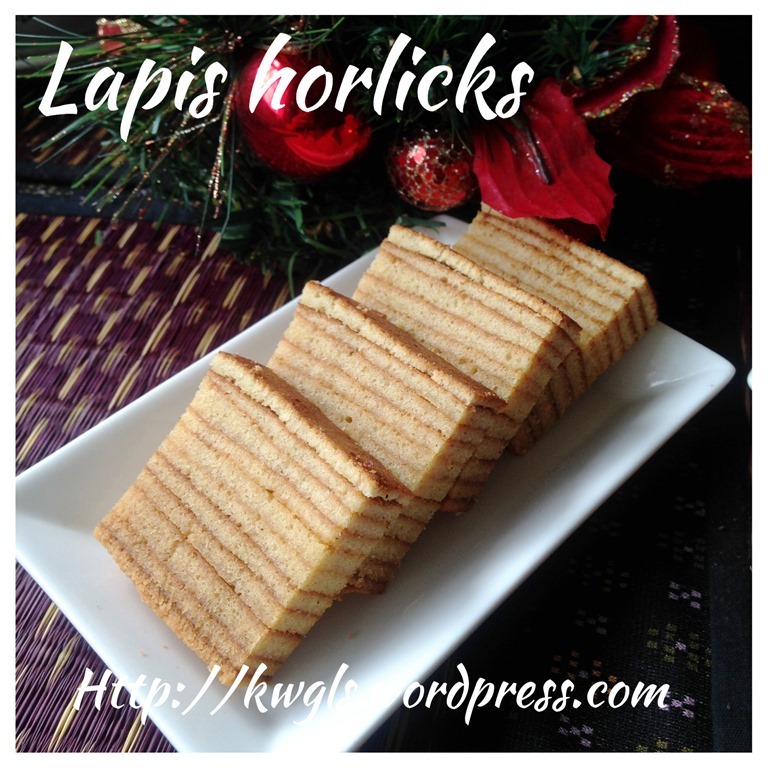 etc.… So in the last 30 years, we have been exposed to various types of kek lapis and during Chinese New Years, it is very common that a household have 4-5 types of kek lapis to serve its visiting guests. 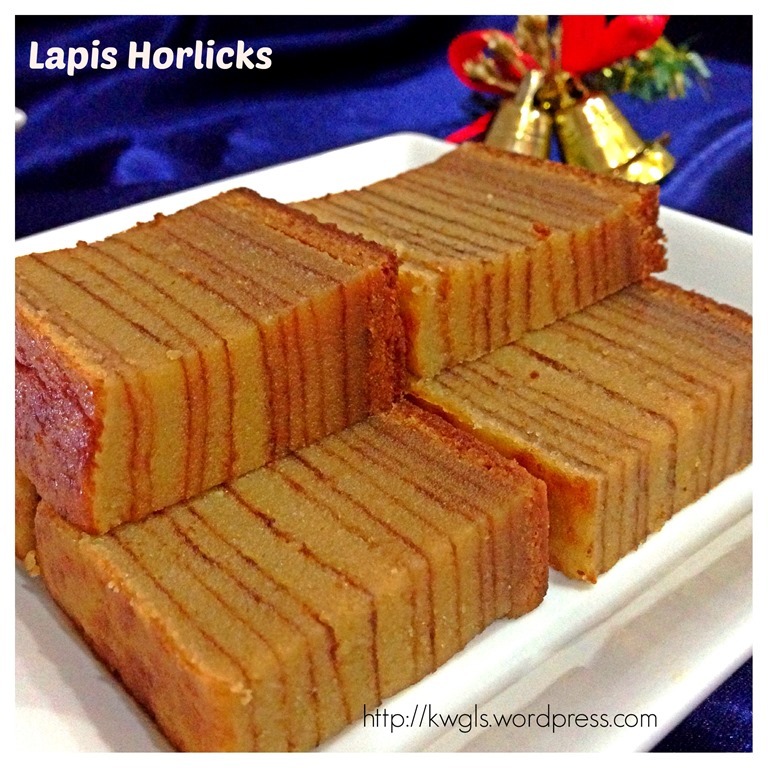 The recipes of Sarawak lapis are many and varies in terms of number of eggs/egg yolks used, method of preparation (egg separation method vs. creaming, steaming vs. baking), flavours and etc. Though I have many recipes with me, however, I am reluctant to take a step to prepare them due to its large quantity of egg yolks needed. 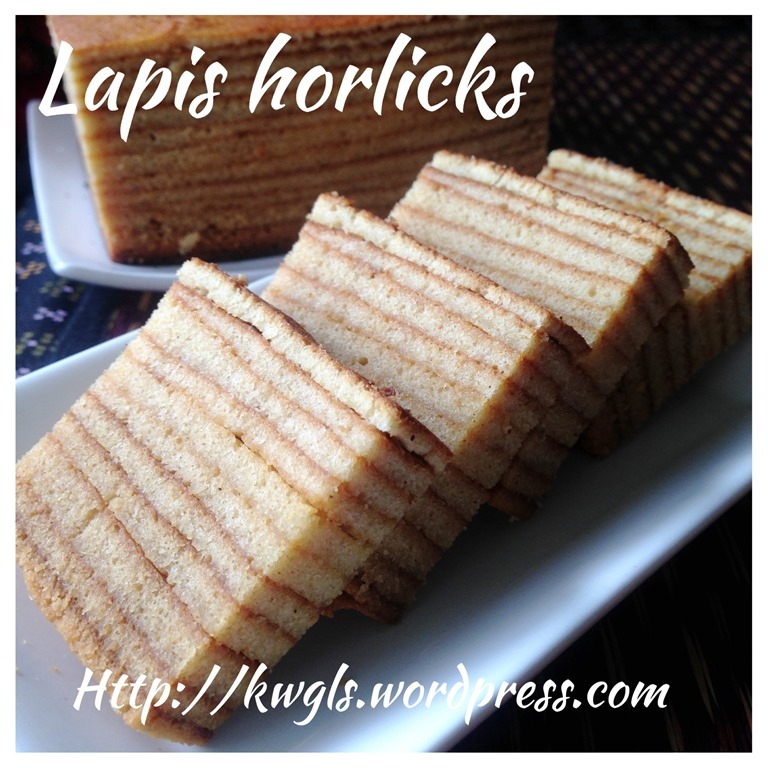 I continue searching and I stumbled across this Horlicks lapis that uses only 10 whole eggs. 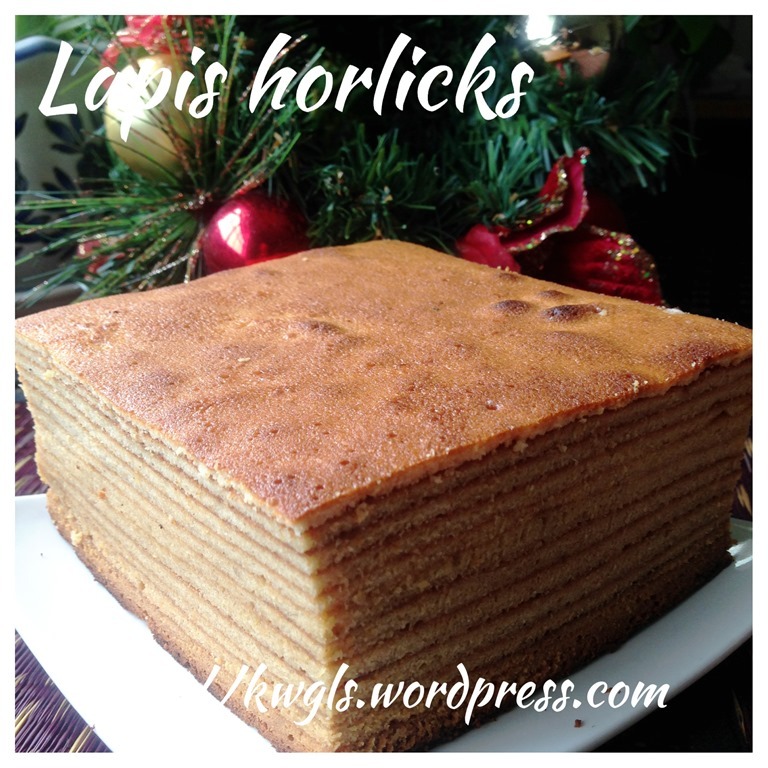 Immediately when I saw the word Horlicks, it caught my attention. 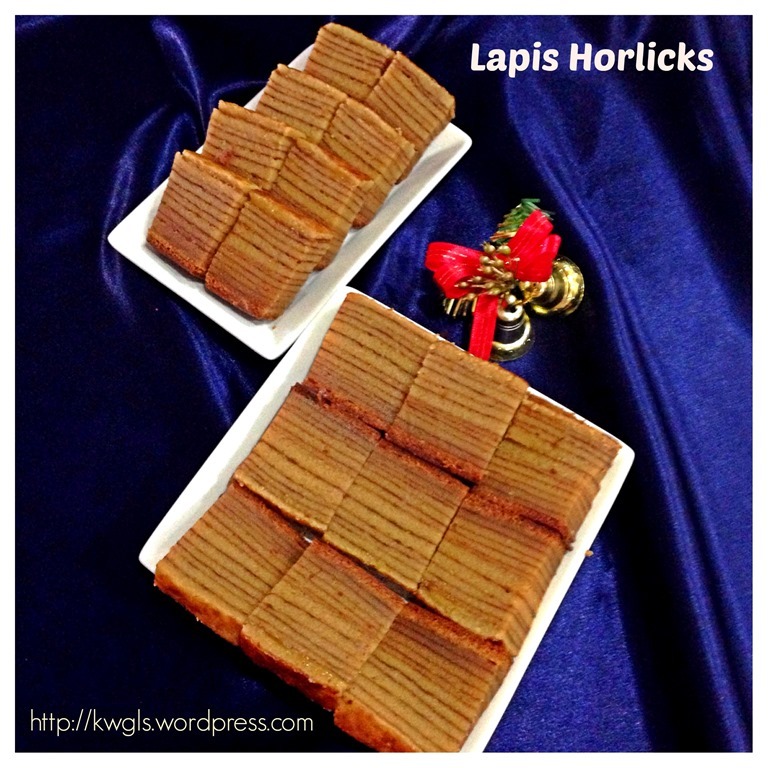 Horlicks lapis is definitely not new to me. 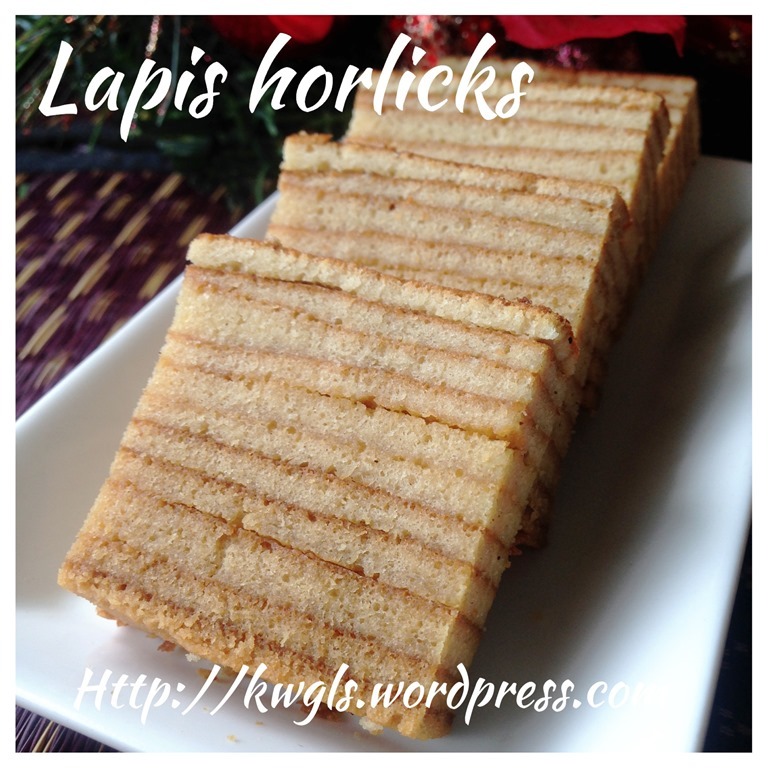 In fact, my favourite lapis is Coffee Horlicks flavour where one layer is Horlicks and another layer is coffee flavoured. 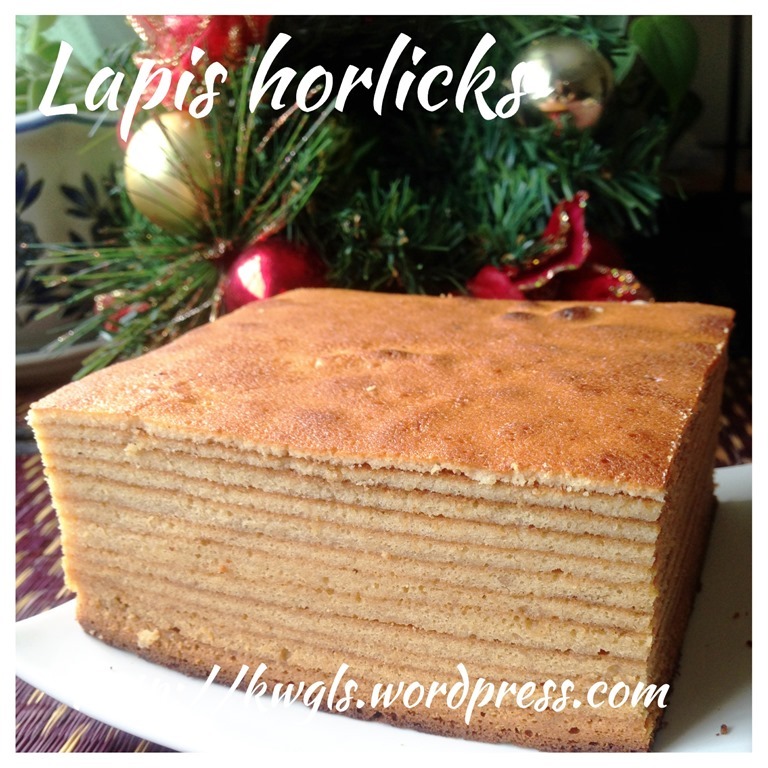 For those who are not familiar with Horlicks, it is a type of breakfast malt drinks. You can substitute with cocoa powder if you prefer. 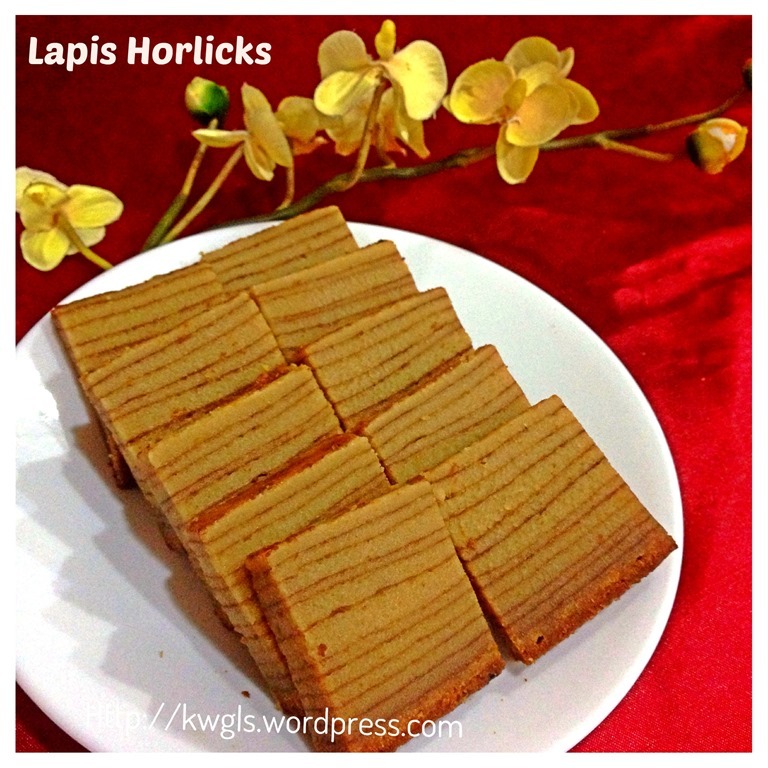 Well, for those who are new to Sarawak lapis, the texture of this lapis is slightly different from the light fluffy type of lapis. It is rich, dense, soft and moist. It is not difficult to “visualize” the texture if you analysed the ingredients. 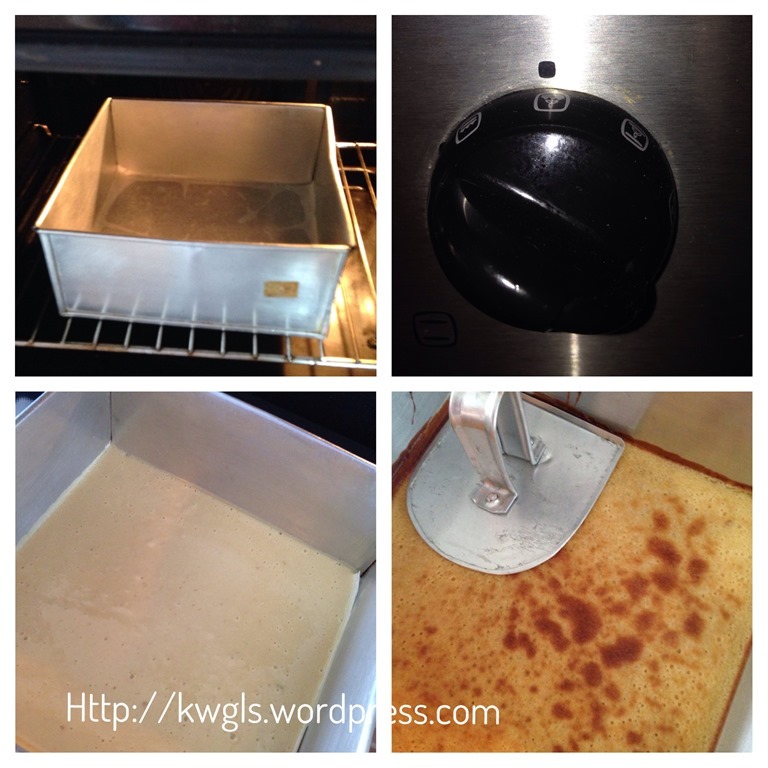 One can of condensed milk in any cake will make it dense. Don’t worry, it is not overly sweet as less sugar have been used. It flows down the throat and it is extremely creamy and buttery. 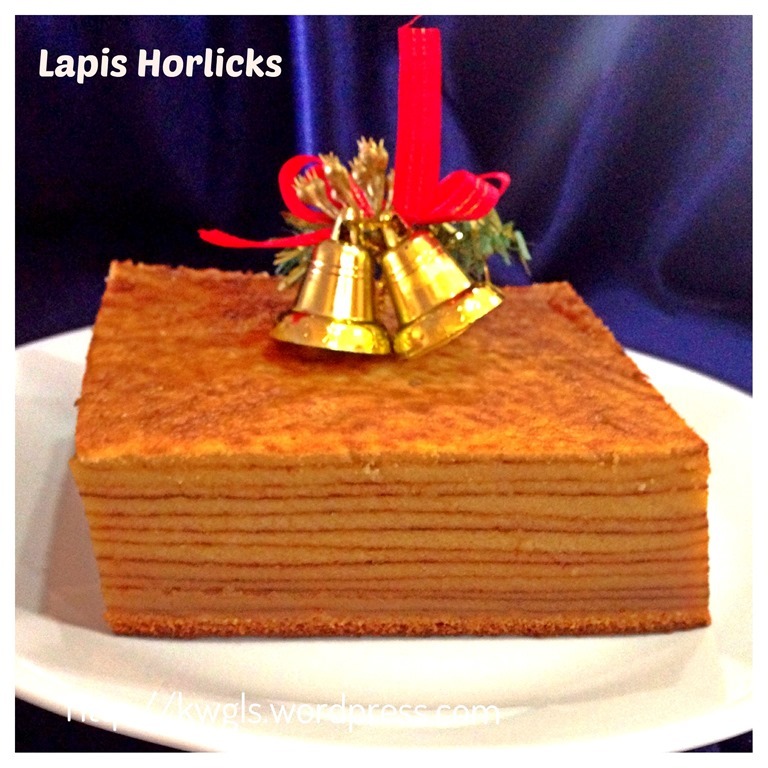 The beauty of this lapis is it uses 10 whole eggs as compared to those that uses 20 egg yolks and ovalette. Grease a 9” x 9” square tin. Cream the butter and sugar until light and pale. 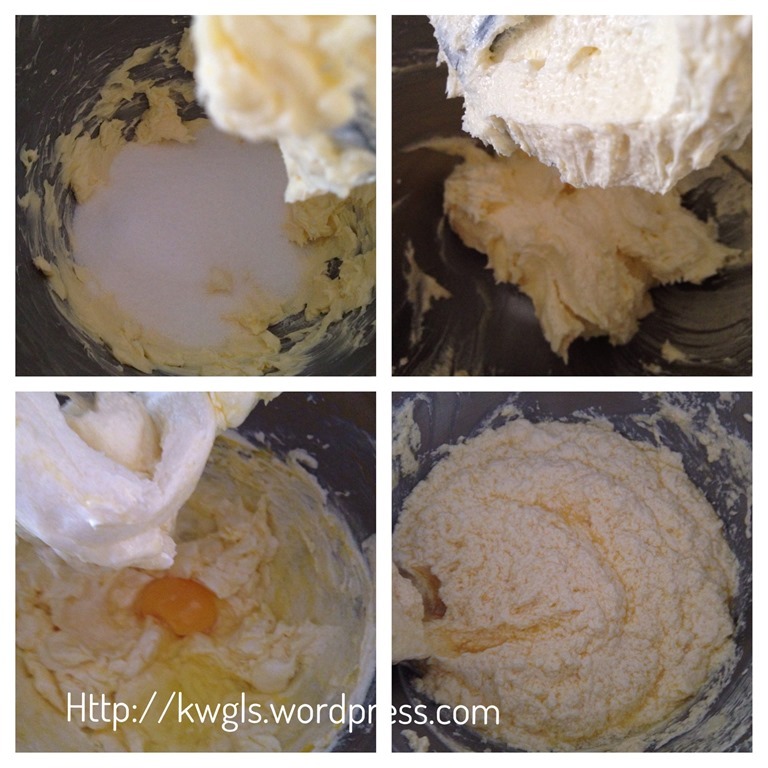 Add in one egg at a time and ensure that the egg and butter mixture are well mixed. 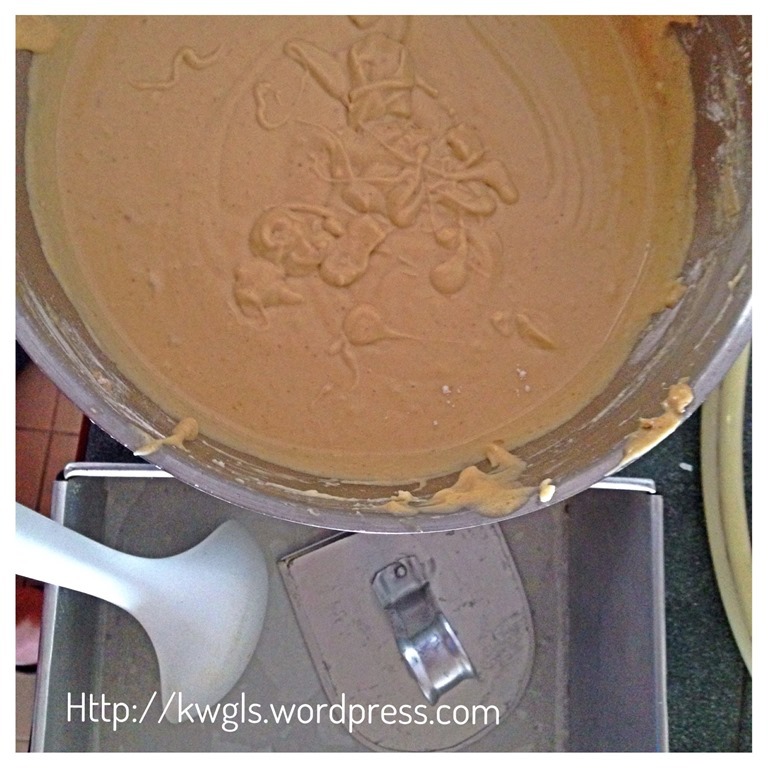 Add in the condensed milk, use the machines to slightly stir it. Sift in flour and Horlicks and stir until well mixed. 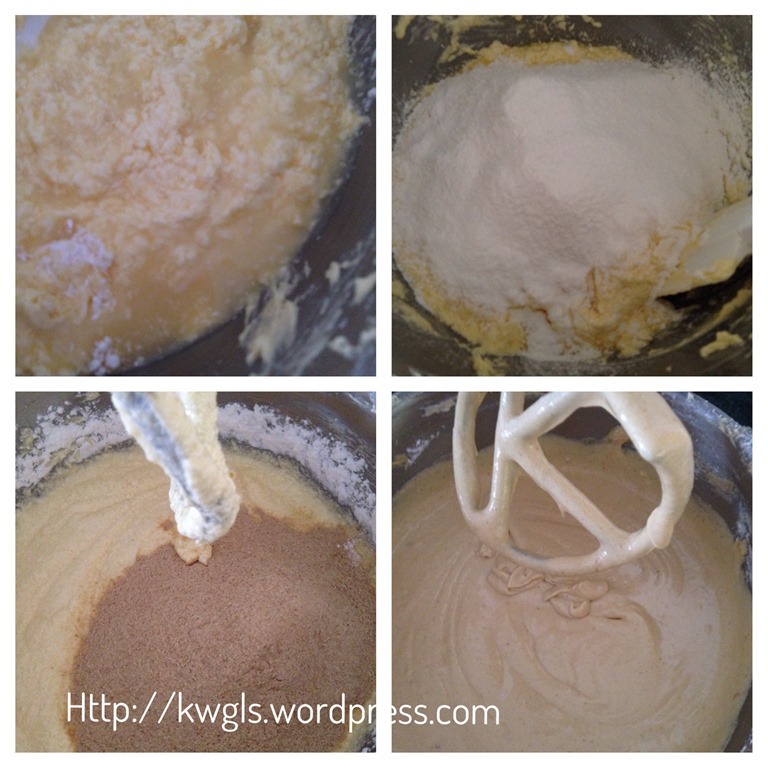 Put another 2 ladles of batter, bake until brown and press it slightly. Repeat the same procedures until all the batters are finished. After all the batter have finished, for the last layer, reduce the oven to 160 degree Celsius and resume to the “top heat and bottom heat” mode, bake for additional 10-15 minutes. Cooled completely before cutting. Keep in refrigerator for up to at least 2 weeks. 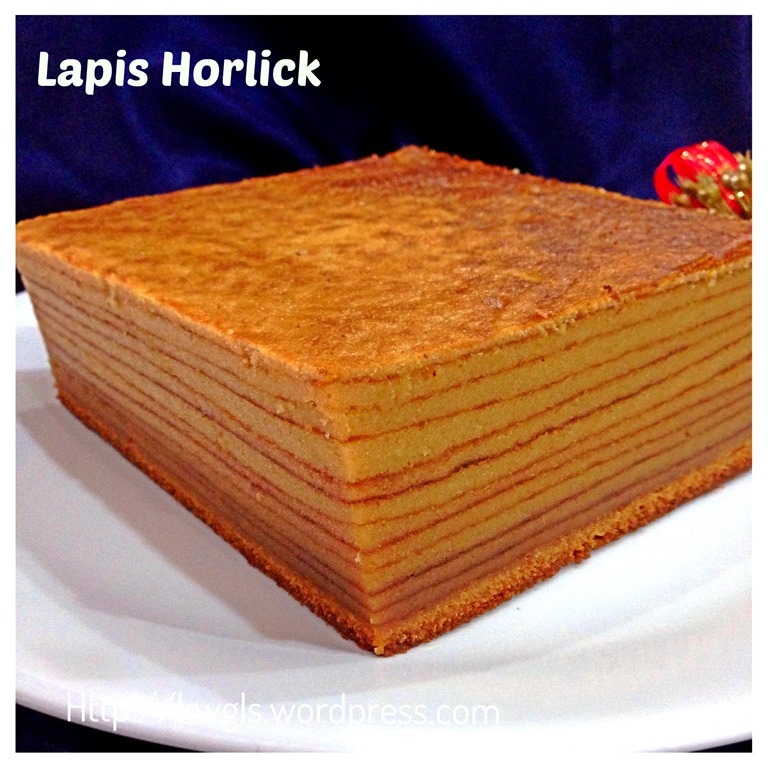 If you like moist dense cake, this lapis is for you. It is not difficult to make but a bit laborious. However, the hard work is worth the wait. 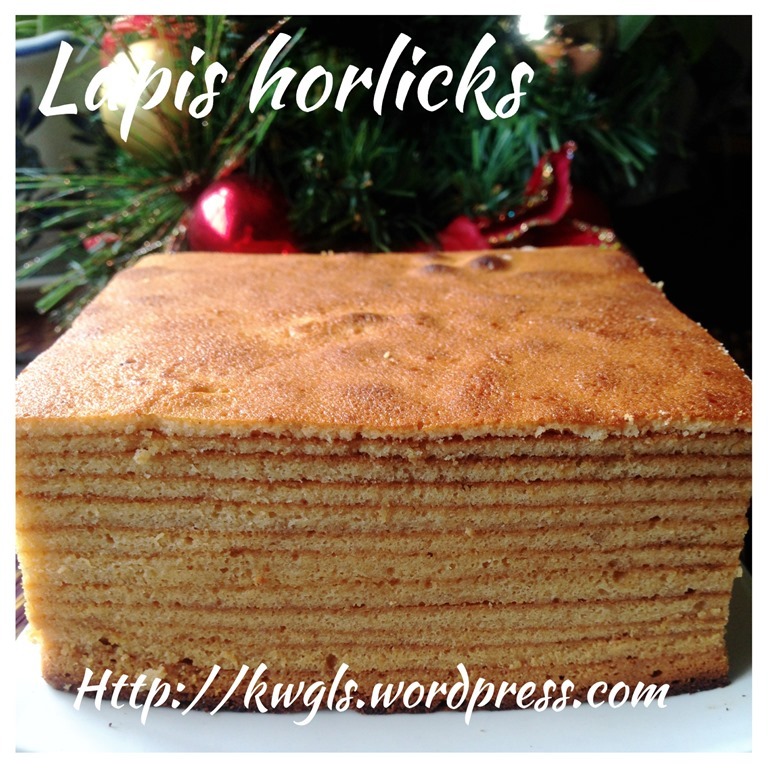 I will possibly share another post on the traditional lapis legit where egg separation method are used for the preparation. You can then see that the texture of the cake will be slightly different. It brought fond memories when I cut and ate the cake. 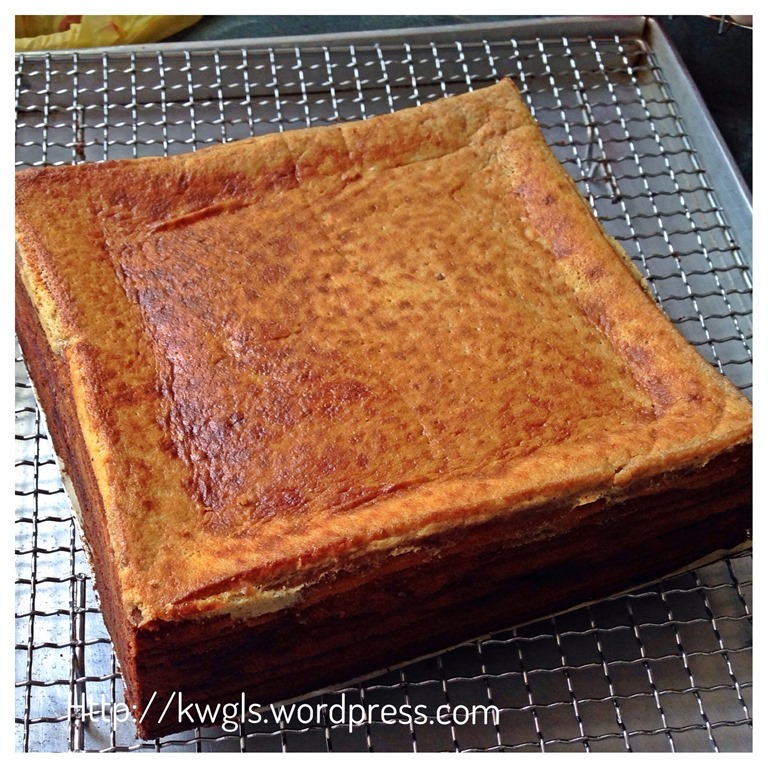 I have been cutting this type of cakes for donkey years during the first day of Chinese New Year. Putting them in nice serving plate waiting to serve visiting guests. 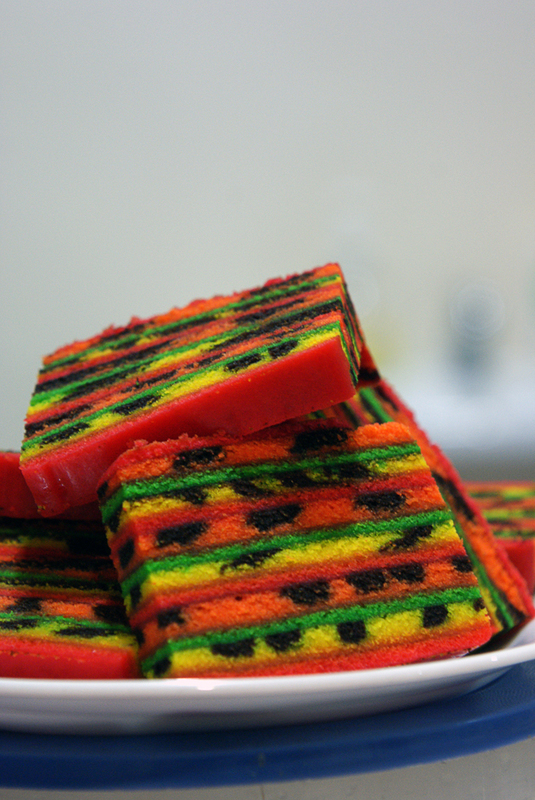 This cake is also a celebration cake during Christmas in Sarawak. May be you want to try making one to serve your guest? 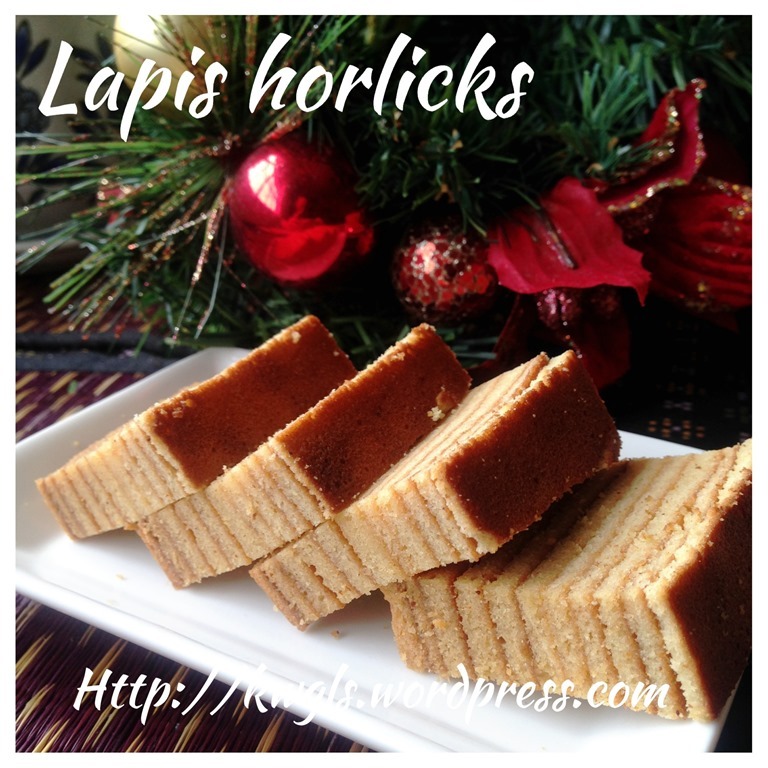 This entry was posted in Cakes and cookies, Chinese and Asian Cakes and Snacks, Christmas 2013, Food Preparation Series and tagged 8, GUAI SHU SHU, Guaishushu, horlick lapis, lapis horlick, lapis legit, postaday. Bookmark the permalink. Ok thanks for your advise, looking forward to try it out for this coming Chinese New Year. I enjoyed reading and going through your different recipes and looking forward to preparing them in my kitchen. Could you please clarify whether evaporate creamers available in Malaysia (such as Marigold) same as condensed milk? It is not. Sa. Evaporate creamers is what we called evaporated milk where as condensed milk is sweetened sticky type of milk. Evaporated milk is not sweetened and it is watery. It has a higher fat content than fresh milk. If you are in Malaysia, you may heard of beverages such as kopi si and kopi. Kopi si is coffee plus evaporated milk and sugar where as kopi is coffee plus condensed milk. 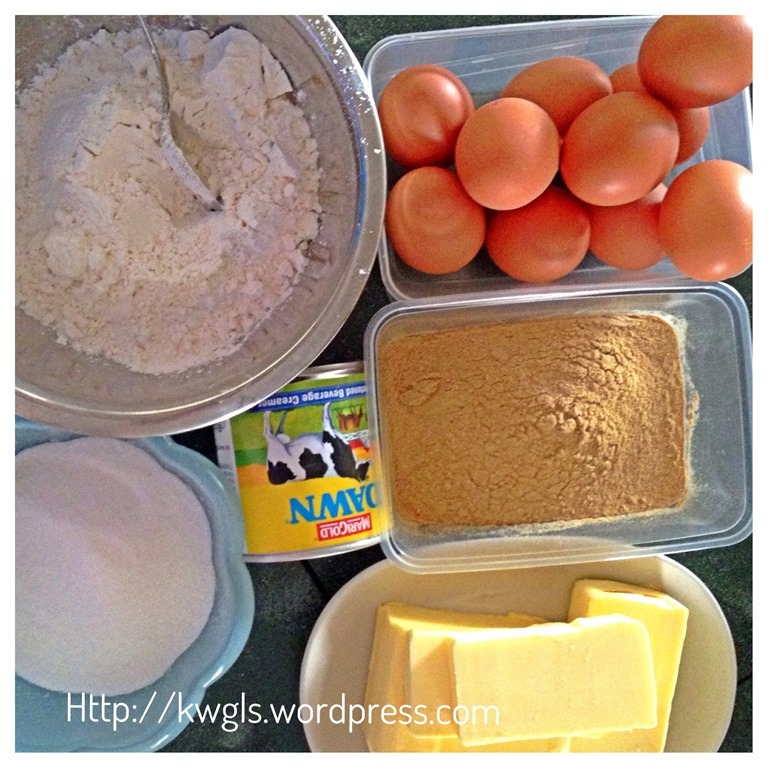 For this recipe, it is condensed milk and one branded condensed milk in Malaysia or Singapore is Milkmaid. Is it convenience to know what brand and series of oven that you are using? I am using normal electrolux in built oven for a normal household.